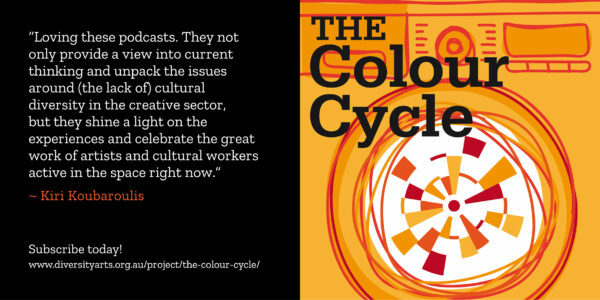 The Colour Cycle aims to disrupt cultural whitewashing and examines whether Australia’s Arts and Cultural sector looks like Australia. Join the conversation on your socials with #TheColourCycle. What does it feel like to grow up without seeing yourself reflected on TV? Screenwriter Benjamin Law describes this exclusion as ‘quietly dehumanising’ and a form of ‘structural racism’. 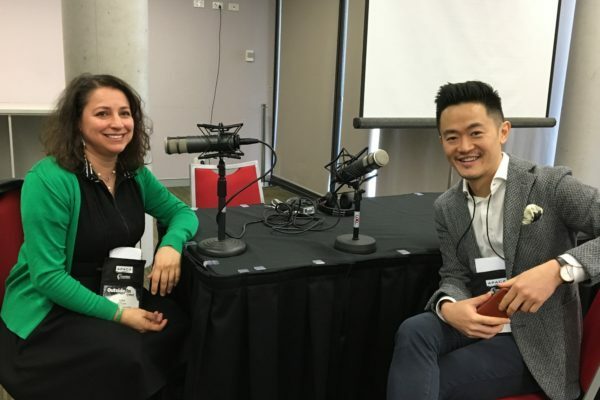 He talks about his comedy series The Family Law changing the face of our TV screens – about casting the predominantly Asian-Australian characters, why quotas work and creating new opportunities and new reflections for writers of colour in Australia. We talk a lot about the challenges for artists of colour to break into the arts sector and the pervasive stereotypes they face. But what if you’re also trying to manage the added difficulties of language barriers, work and trauma as a recently arrived refugee to Australia? Meet the extraordinary Carolina Triana who has created huge opportunities for artists from refugee backgrounds by establishing the New Beginnings Festival. 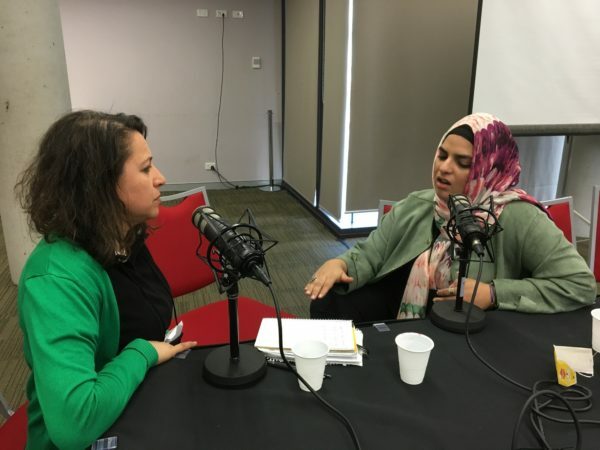 Episode 3: Art and Identity politics: What is the Australian voice? The great Australian author David Malouf is never referred to as the Great-Lebanese-Gay-Australian author. So do non-Anglo artists always have to represent the cultural identity of their parents or their birthplace? 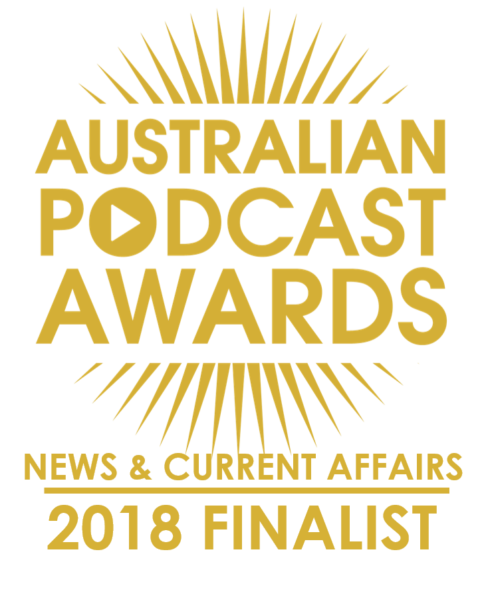 Author and TV and radio host Sunil Badami talks about identity politics, and asks, what is the Australian voice and who does it belong to? We know that people are moving around the world and fleeing persecution, fleeing environmental disaster at a rate that has never before happened in history. Damon Amb was unable to practice his craft in his home country for fear of persecution. He speaks about his journey as a refugee and how he is now working to rebuild his life and re-establish his artistic practice in a new country. Zainab Syed is a performance poet from Pakistan, she wears a headscarf so people assume she’s a refugee or has suffered hardship and that her work should reflect this. But her story is one of privilege. How do you change the stereotypes or assumptions made about artists of colour? We also meet Kevin Bathman whose work about the inter-marriages of Indian and Chinese couples in south-east Asia doesn’t fit easily into most boxes. This ancient continent has been populated by diverse groups of people and artists from over 500 language groups and nations. But too often Australia’s indigenous artists are relegated into one box to tick. In this episode, we talk to two important indigenous artists, Lily Shearer and Colin Kinchella about what we can learn from the diversity of Australia’s first peoples. 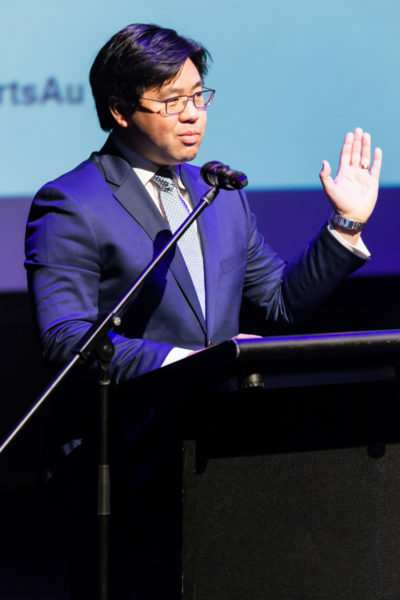 In our first bonus episode we bring you a live recording of the speech from Australia’s Race Discrimination Commissioner Dr Tim Soutphommosane, the Beyond Tick Boxes Symposium. It was so good we just had to share it with you. He challenges Australians to think about cultural diversity as more than just going out for souvlaki, dim suns or pho. Dr Soutphommosane also poses the question: is creative expression is a human right? Bonus Episode: Are we there yet? Over this podcast series we’ve heard lot’s of strategies for increasing cultural diversity in the arts and on our screens – so are we there yet? 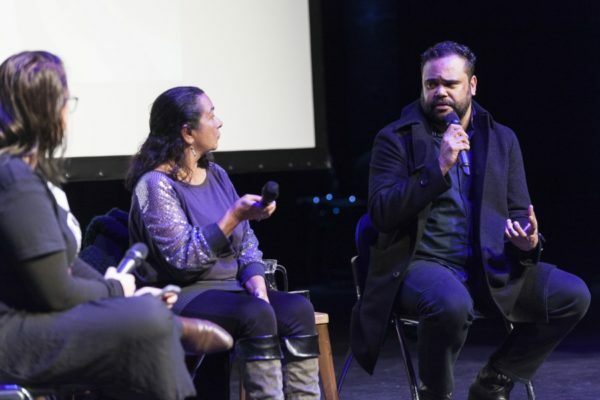 Well we’re on our way but still have a long way to go according to a panel discussion which Diversity Arts Australia hosted at the Performing Arts Connections Australia conference (Australia’s peak performing arts body for theatre, dance and performing arts). 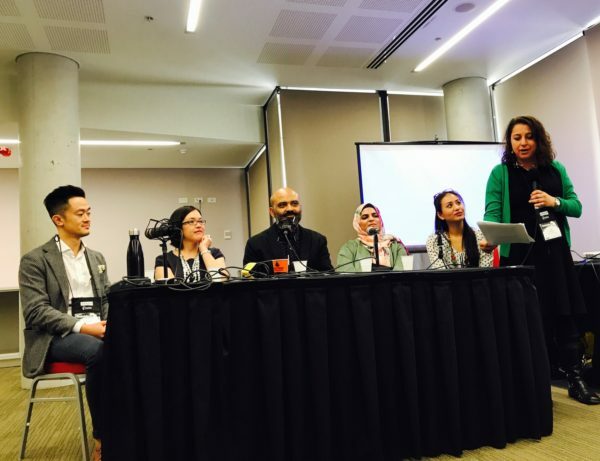 The panel included some Colour Cycle alumni; Sunil Badami, Benjamin Law, Zainab Syed, Maria Tran and Jackie Bailey. We often talk about the need for quotas to compel arts organisations to include more diversity in their programming. When Create NSW’s Screen division introduced a 50:50 quota for gender they significantly increased the participation of female directors, writers and producers within a very short period of time. So could quotas work to create a more culturally diverse arts sector? 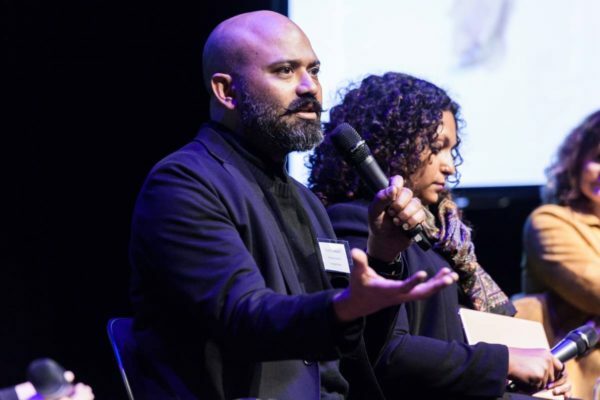 Art and Identity politics: What is the Australian voice? The diversity of Australia’s First Peoples? 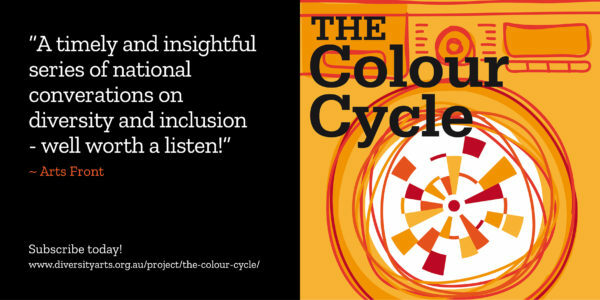 Want great interviews on cultural diversity in Australian arts delivered to your phone? Listeners with android phones can find and subscribe to our podcast below. Lena has over 20 years’ experience in arts, cultural and media organisations, and has managed screen and digital media–based initiatives that have engaged thousands of people, particularly women, refugees, migrants and young people. Jennifer is a freelance journalist and podcast producer working in radio, podcasting, news and current affairs.